Here is a nice picture of Stephanie, one of our regular contributors, in an earlier reincarnation as a computer word processing sales manager. 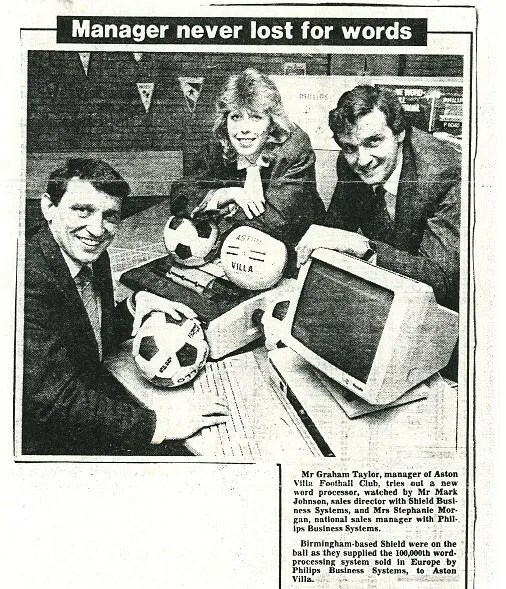 The football manager in the picture is Grahame Taylor England’s manager from 1990 to 1993 when he had a bit of a raw deal with a Dutch player scoring a killer goal after a dreadful foul (see here the story http://bbc.in/1QzjJNs). Anyhoo here is Grahame in happier times at Aston Villa.